In Today We Are Rich, former Yahoo! executive and acclaimed keynote speaker Tim Sanders will help you develop a resilient abundance mentality that will help you rise above any challenge and exhibit leadership where others are gripped in fear. The message is clear: Positive thinking is possible during good or bad times through lifestyle design. A decade after his meteoric rise in the business world, Tim realized that his success and generosity stemmed from his confidence, taught to him as a child by his grandmother. She taught him that rich was the belief that “you have enough to go around, enough to share. And when we share, we are worth something.” She knew from her experiences, including the Great Depression, that the key was to possess total confidence: In yourself, the others you rely on and a power greater than yourself. 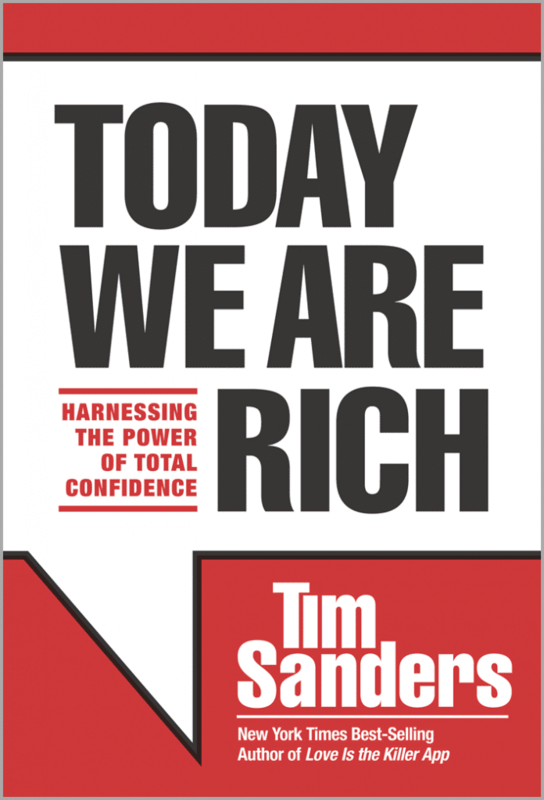 This book reveals seven lifestyle principles that turned Tim’s life around – twice. Join Tim as he shows you how to embrace total confidence in your life, even in the face of today’s social media and transparency which can challenge our sense of confidence, sanity and faith. Discover your own strength through these principles of confident living, principles that some of the most successful people you know live by.